The Windows 10 operating system offers people user accounts. You always have your own user account when you set up a Microsoft account. These user accounts are excellent because it means each person who uses the computer now has a separate account with only their files that they have used available from their accounts. The result is a less cluttered and more organized user experience since you don’t have to deal with anyone else’s files. Sometimes, when there is a problem with your user account, Windows 10 may sign you in to a temporary user account when it can’t log you in to your own. When you use a temporary user account everything you do within the session will not be saved. You also won’t be able to get access to any of your files that are still sitting in your old user account. A temporary user account is better than nothing because it still allows you to use the Windows 10 operating system and all its features such as the internet. However, you’ll want to fix this problem as soon as possible and get your old account working again. 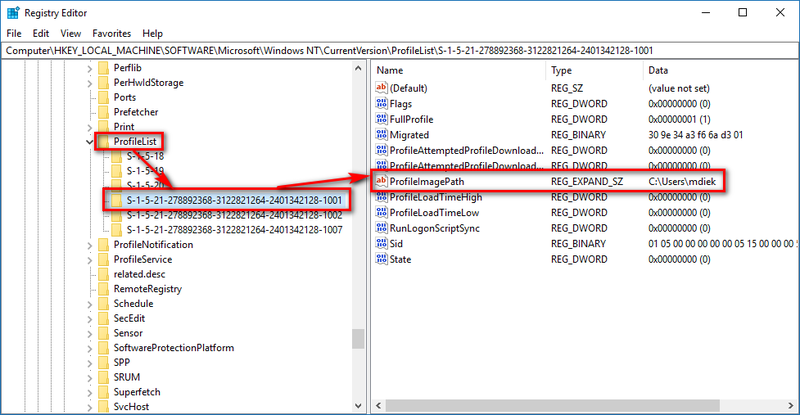 Here is what you need to fix the “You’ve been signed in with a temporary profile” error when using a version of the Windows 10 operating system. Note: If you do not have the chance to get access to an account with the administrative permissions, then you can reboot the computer into Safe Mode and then turn on the built-in administrators account instead. All you would need to do then is sign out and then sign back into the administrator’s account. Next, type the whoami /user command into the command line and the hit the “Enter” key on your keyboard to execute it. When you get the results, you should now have a SID (Security identifier) number in the window. Keep that SID because you’ll need it for later. 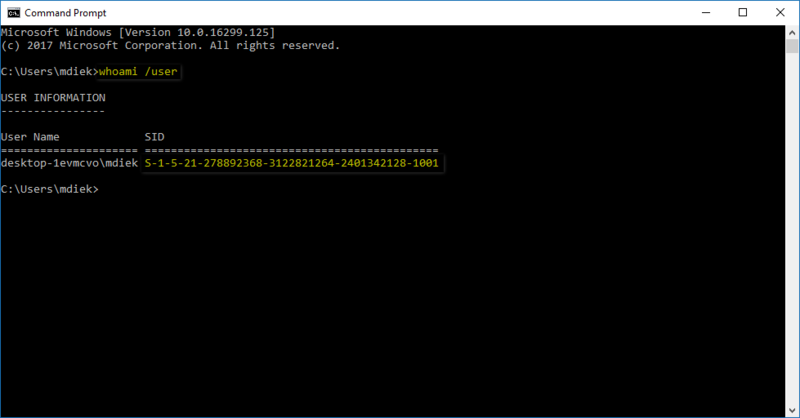 Now using the left side pane, navigate through to the following keys: HKEY_LOCAL_MACHINE\SOFTWARE\Microsoft\Windows NT\CurrentVersion\ProfileList. Now in the right side pane, click on the “ProfileImagePath” once to highlight it. Note: You will notice that in the data column, it shows the “TEMP” as the file path, such as C:/users\TEMP. That’s what you’re looking to change now by editing the string value. Right-click on the “ProfileImagePath” and then click on “Modify” to make the change you need. That’s all most of you will need to do to fix the “You’ve been signed in with a temporary profile” error and to have you getting signed back in to your normal user account. If, however, you are seeing a “.bak” extension at the end of your SID in the Registry Editor, then the steps you need to follow are a bit different. If you have an ID that has “.bak” listed at the end of it, then right-click on the SID, choose to “rename” the SID and then remove the “.bak” from the digits. You can then double-click on the “profileImagePath” entry from the right side pane to modify its value, using the same steps as above. It’s also possible that you see the SID twice and with “.abk” at the end. This tie you want to right-click on the SID and then choose to “Delete” the duplicated SID. Then right-click on the remaining SIOD and select “Rename” and remove the “.bak” from the SID. You can then follow the same steps as above to finish the guide.